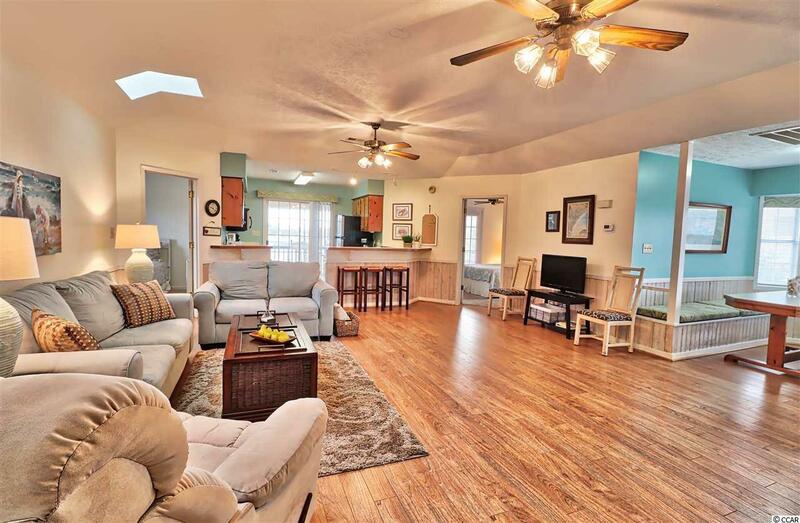 Oh what a view from this waterfront property located at 1839 Pompano Dr in Garden City Beach! 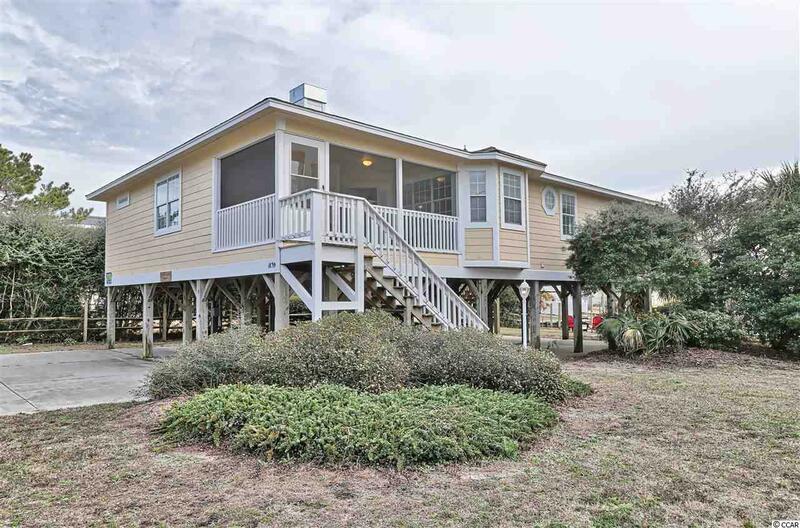 "Up The Creek" is a one level, classic raised beach cottage situated at the end of Oyster Cove, a tidal water location with a private floating and stationary dock all within walking distance of the sun filled, magnificent southern shoreline of Garden City Beach. 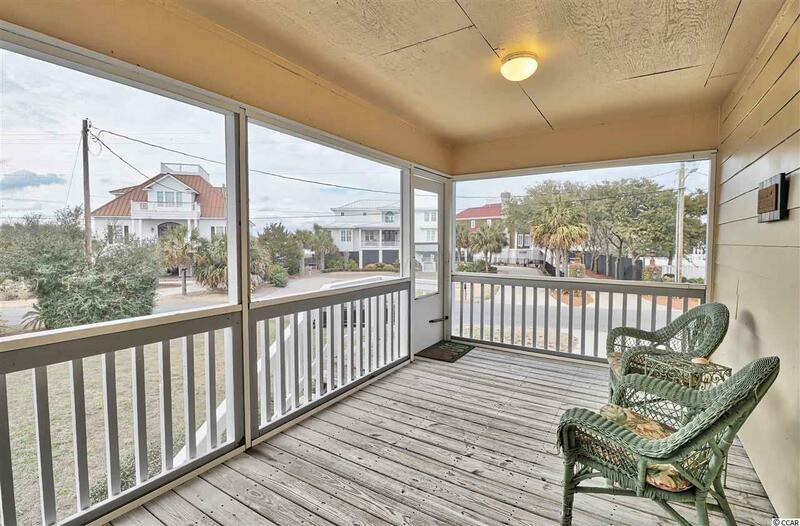 From the front of the property, you can see the beach access which leads to the ocean and all it has to offer! 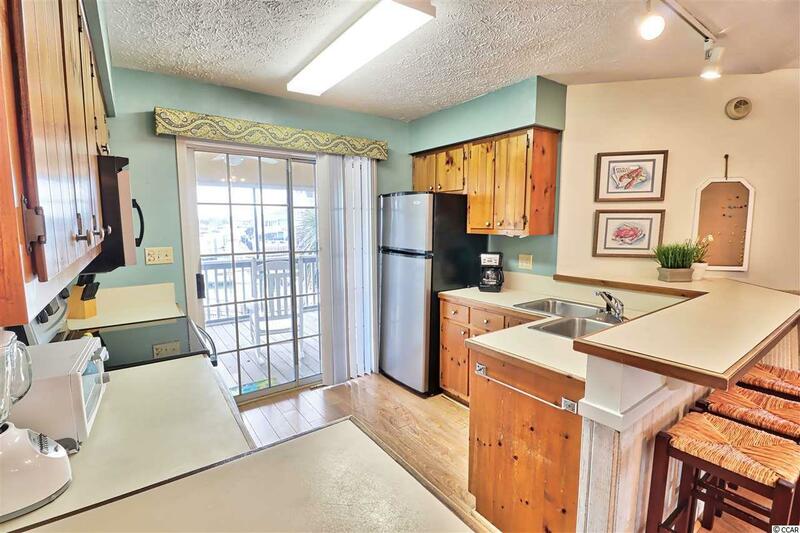 From the back, you have a creek front location offering endless opportunities for water activities, boating, kayaking, paddle boarding, jet skiing, swimming, fishing, crabbing, etc or simply a relaxing spot to enjoy the sunshine or the views. Front steps lead to a screened porch welcoming you to the main entry of the cottage. Once inside, you will discover the heart of the home, a large family room boasting plenty of space for family gatherings, a fireplace, 2 ceiling fans and 2 skylights. Just ahead you will see, a fully equipped kitchen complimented by a breakfast bar and a sliding glass door offering creek views and access to the rear screened porch with steps leading to the backyard. The dining area can be found to the right of the family room surrounded by windows providing plenty of natural light and a great place for conversation, playing your favorite board game or eating your favorite meal. Four spacious bedrooms with ceiling fans and 3 baths mark the perimeter of the home and complete the floor plan. The master bedroom offers his and her closets and a private bath with lots of storage. On the east side of the home, there are 2 bedrooms, one with twin beds and the other with a queen size bed sharing a large bathroom with additional storage. Creekside you will find the fourth bedroom boasting of a queen size bed, a private bath housing the laundry closet and double doors leading to the rear screened porch overlooking the creek. Exterior features include an attached storage closet, an enclosed shower with dressing area, extended living areas and parking underneath the home, an inviting creekside backyard, side yards, front and back entries to the home and additional parking out front or on either side of the property if needed. As an added bonus, the home is being sold fully furnished. Front and rear screened porches flank the home and are rocking chair ready providing a great place to kick back and enjoy! Make "Up The Creek" your primary home, use as a second home or take advantage of the property's rental potential. Whatever you decide, this private setting offering creek views throughout the day and easy access to the beach will not disappoint you. Life is better on the creek! Come see for yourself.